MarketWatch: What about this 30% stock drop? When is it coming? 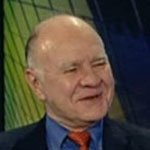 Marc Faber : Since 2012, I have been expecting a correction that hasn’t happened, but it has happened in individual stocks, and it has happened in emerging economies. A 30% [drop] would not surprise me, but the financial media doesn’t believe it can happen. When the S&P was at 666 on March 6, 2009, they didn’t believe the S&P would go to 2,000 either.